The Bowling Green Hot Rods used the right mix of pitching and power to beat the Peoria Chiefs 4-0 in the opening game of the best-of-five Midwest League Championship Series. Three Hot Rods pitchers combined to shut out the Chiefs, scattering five hits and five walks along the way. 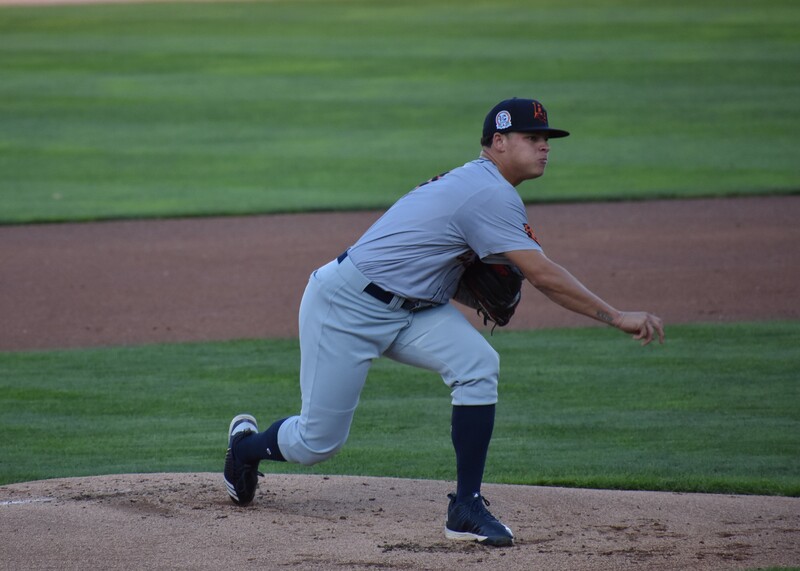 Starter Tobias Myers, who got the win, gave up three hits and three walks while striking out four batters in five innings. He was relieved by Tyler Day, who gave up a walk to the first batter he faced, but otherwise was perfect in his two innings. Matt Seelinger pitched the last two innings for the Hot Rods, allowing two hits and a walk while striking out three. Trey Hair drove in three of Bowling Green’s runs, including two on a 396-foot homer he hit with two outs in the top of the 4th inning. That came four batters after Moises Gomez led off the frame with a 406-foot blast that would’ve exited Dozer Park had it not hit the protective screen in place to stop baseballs from hitting vehicles on the street just outside the ballpark. Peoria’s only extra-base hit came off the bat off Zach Kirtley, who doubled in the bottom of the 8th inning. 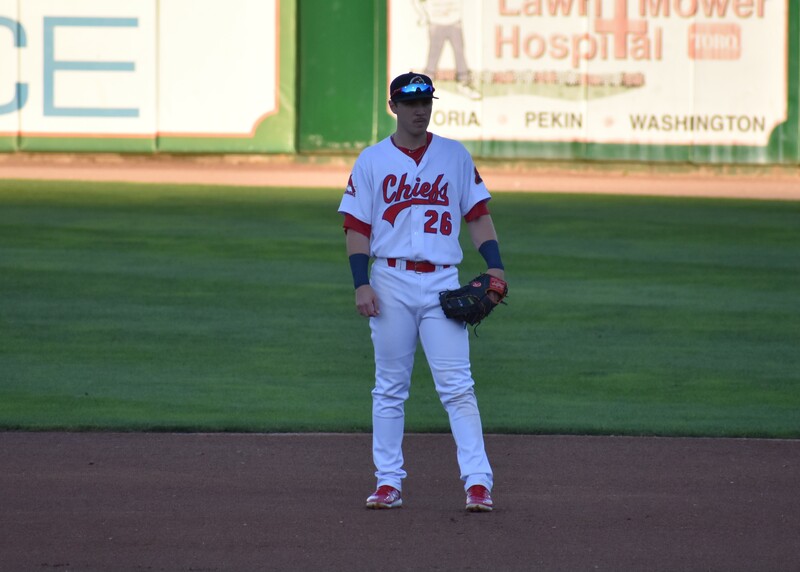 The Chiefs left the bases loaded in that frame, failing to cash in on their best chance at scoring in the game. 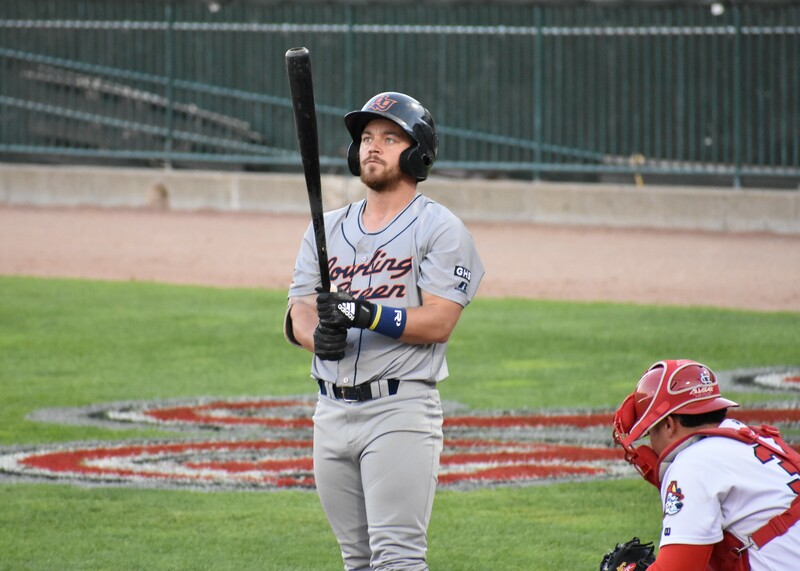 Game 2 of the Midwest League finals will be played at 6:30 p.m. Thursday at Dozer Park before moving to Bowling Green Ballpark for the rest of the series.